After I got this BORN PRETTY Christmas Nail Art Starry Sky Silicone Head Stamper I got the desire to stamp again. After having used my clear stamper without luck a number of times, I wasn’t really expecting this to work, but this is SO much better! I definitely recommend these silicone head stampers. 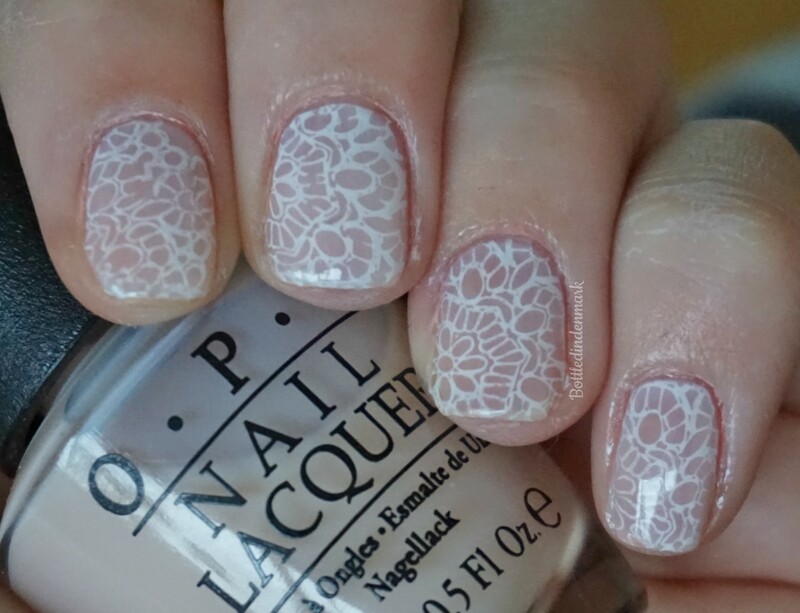 Just like the other day, I used this stamping plate: Lace Chevron Image Plate BORN PRETTY BP-L028 but with a different design this time. After the bright orange manicure, I was in the mood for something subtle, but nice, and I think I hit the nail on the head with this one.